It’s Fashion Friday but it certainly looks like a Flashback Friday with Eve Farms and Fauxy Furr Vintage. I rolled up some delicious Sour Patch flower in RAW cones during our last trip to SoCal, for a very groovy high. During our trip to Palm Springs, Cameron and I decided to stay an extra night in Joshua Tree. I found this gem on AirBNB and knew we needed to stay here. The listing proudly states the house has been untouched since 1971 (as if the wallpaper didn’t give it away). Sometimes I get a photo vision and I’m lucky to have a guy who goes with it. So that’s just what we did. 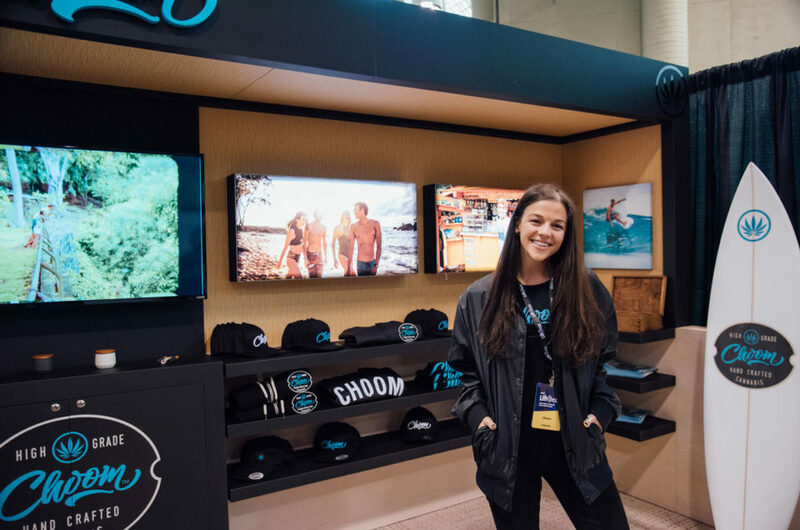 Choom brought the spirit of Hawaii to Toronto, to kick off their official launch at the 2018 Lift Expo. Lift draws attendees from around the world, so the team couldn’t wait to debut their brand. From the Hawaiian inspired booth to sneak peeks of apparel, everyone wanted to join the Choom gang. Lift Expo, also known as Lift & Co., is Canada’s signature event for cannabis consumers, professionals and investors. The expo featured hundreds of exhibitors, more than 60 speakers and over a thousand attendees. Speakers covered topics including product diversification, Canada’s legal landscape and even medical cannabis treatments in veterinary medicine. Everyone from cannabis connoisseurs to the canna curious came out to ride the green wave, and Choom brought the board.